Happy New Year! I hope you all had wonderful and delicious holidays. Here’s to a healthy and happy 2015! I am excited about what 2015 has in store, especially the arrival of our new baby boy in March! I took a little break from blogging and social media for family time and travel over the holidays. Sometimes it’s so nice to totally disconnect. I also left for the holidays at the end of my 2nd trimester and came back looking and feeling very much in the 3rd trimester. I know March will be here before we know it! 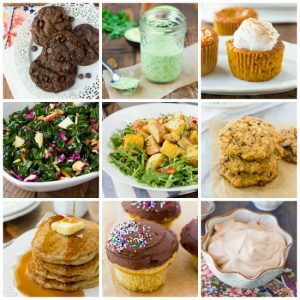 It’s always fun to look back on a year of blogging at the most popular recipes. 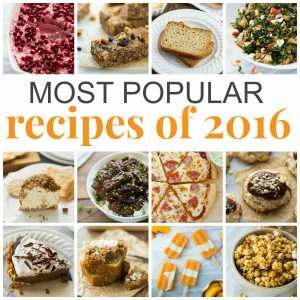 Sometimes I’m surprised at what recipes become the most popular. There is no way to predict it! Here is the list of favorite recipes from 2014!